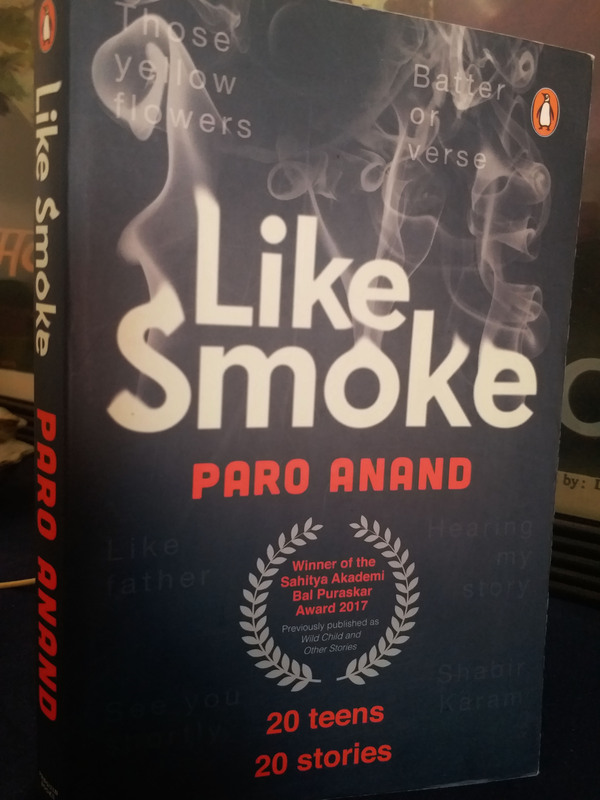 Paro Anand has been one of my favourite authors. It is largely to do with her insight into the mind of a growing child and her ability to express the curiosity, angst, imagination and aspiration with such disarming simplicity. And yet, her work is profound. 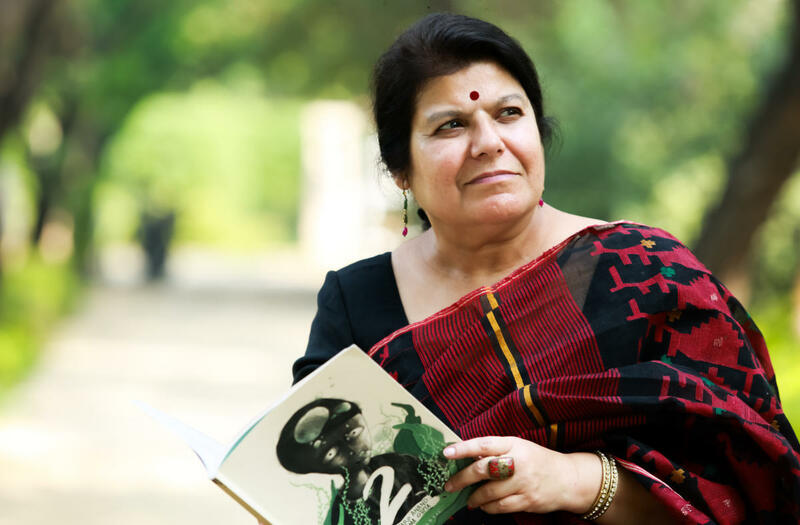 This is true for her collection of short stories, “Like Smoke” that won the Sahitya Akademi Bal Puraskar in 2017. While it was previously published as ‘Wild Child and Other Stories’, I am quite surprised why it wasn’t as popular as it should have been. For each one of these 20 stories is representative of the myriad emotions that pre-teens and teens face – from a headache to heartache. Each one of these stories also acknowledges and respects that the angst of ‘teenagedom’ (a word she coins in the preface) can be a badge of honour, as well as dishonour. Each of these 20 stories is the battle zone of 20 protagonists who are in a battle zone – teenage is nothing less, mind you! They stand between dilemmas, make choices, display courage, harbour hope and display the grit that all adolescents must go through – as a rite of passage. These stories are so relatable – because they are not just meant for us, they are about us. The stories are diverse – funny, sad, long, short, anecdotal – but the common thread running through them is the perspective on life on individuals who are growing up, evolving. So the protagonists are as diverse as the issues they deal with – a ‘problem’ child, an emotional individual, a grieving teenager, a stubborn person, a prejudiced adolescent and many more. One story that stands out particularly is ‘Those Yellow Flowers of August’. It encapsulates and draws the trajectory of a teenage girl’s hatred for Muslims because she loses her father in a bomb blast. This leads her to think that all Muslims are architects of violence. The story deals with the negotiation of her mental geography amidst this prejudice. Peace or the lack of it has also been explored in ‘This Is Shabir Karam’. But this story is also about the struggles of orphans – results of militancy in Kashmir and how two separate communities are forced to co-exist though reluctantly. This story questions identity, selfish interests and also the human need to belong. ‘Eid’ is a very relevant story – especially in today’s times of receding tolerance. It portrays the turmoil of a boy who bears the impact of his classmates’ bile simply on account of his identity as a Muslim – or ‘Mossie’, in their words. Traitor, gaddaar, khalnayak are few of the names he is referred to in insensitive nastiness. 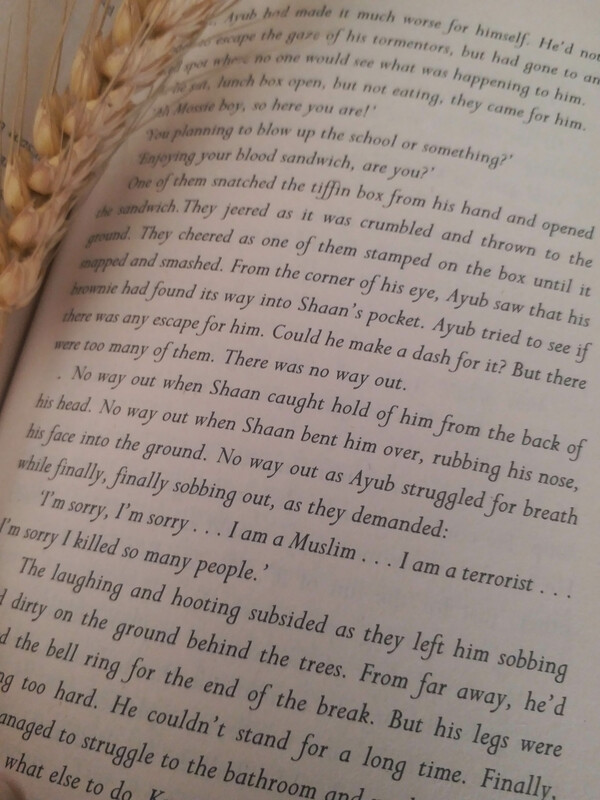 How Ayub becomes conscious of his Muslim identity and how his parents help him reconcile with it is the crux of the story. But it is not just questions of religion that are explored in an adolescent’s search for his or her identity – a strong driving force in whatever teenagers do and how they conduct themselves. In ‘See you Shortly’, two friends help each other rise above the stereotypical notions of what is accepted as ‘champion material’ in a particular sport. They help each other defy the odds and create a space and place for themselves. Similarly, ‘They called her Fats’ is about Fatima Whitbread who went to win Olympic bronze and silver medal and later, in 1987, the World Championship in the field of javelin throw. The protagonist emerges from being a sulky, dour loner to a champion. Anand also touches upon the teen pains of being brought up in a disturbed household, the fear of divorce, their kinship for animals, among others. But the stories are not all heavy. ‘Susu’ attempts to evoke the humour arising out of being in a different land and learning a new language. The best bit about the anthology is the language in which the stories are told. A signature Paro Anand style, the language is simple, is bereft of pretence and flowery word, and often employs the parlance that teens use to communicate with each other. Do pick this book up. It will give you a perspective on life.